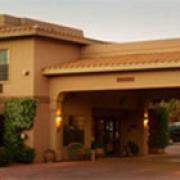 Our family-owned and operated inn feels different from other hotels in Sedona AZ, because it really is. When you’re here, you’ll experience the comfort and convenience that you’re used to in your own home. We’ve got flexible room types to comfortably fit your whole family, including a limited number of pet-friendly rooms where four-legged friends are welcome.